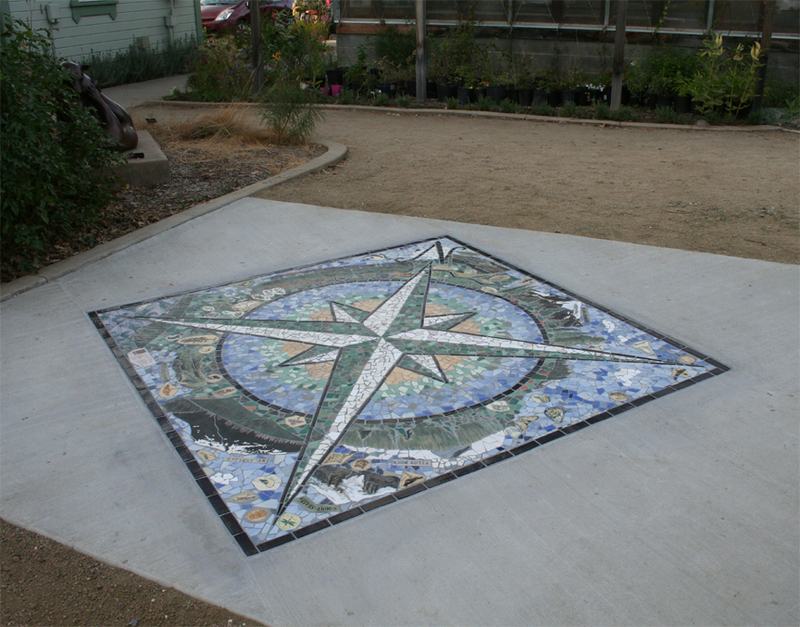 Created in the studio of Illahe Gallery, artist Sue Springer created this colorful compass mosaic to help orient students and park visitors to the cardinal directions and to provide a beautiful, interesting and interactive point of entry to the Demonstration Gardens. The mosaic includes mountains, landmarks and rivers of the surrounding landscape and helps visitors and students alike orient themselves in the natural world. A workshop was held at the Nature Center in August of 2011 which allowed community members to make pieces representing plants and animals which were then included in the mosaic.